Stertil-Koni has incorporated its ebright Smart Control System into the DiamondLift high-pressure inground telescopic piston lifting system. 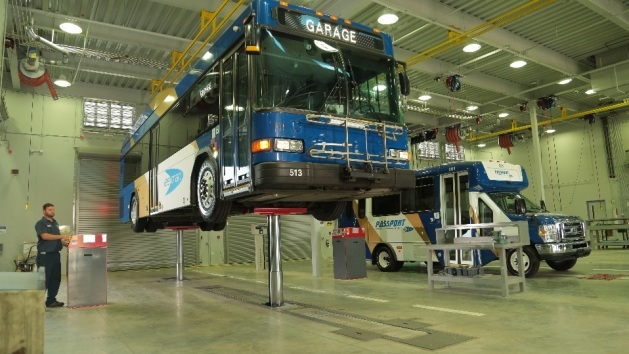 First deployed in wireless mobile column lifts in 2015, the seven-inch, full-color touchscreen controls have also been integrated into battery-operated cable mobile column lifts and the EcoLift scissor lift. Technicians and their managers can observe warnings and service alerts and monitor the lift motor’s run timer, offering a way to track equipment use, the company observes. Other enhancements to the DiamondLift have included an optional continuous recess system that allows the bolster to recess flush to the floor anywhere in the horizontal range a piston will travel, Stertil-Koni says. A self-centering differential adapter also cradles the differential with the help of spring-loaded ball bearings. The DiamondLift, designed for vehicles with extremely low ground clearances, can lift up to 35,000 lb. per piston, or 105,000 lb. in a three-piston configuration.